Black people are quite inventive. Black people are pretty resilient. TL;DR? Black people are magical. There are tons of examples I could share…but that’s not the focus of this point. What this post will highlight are some fresh, exceptionally talented voices in the Black community. They experiment with sounds to spill a special rawness onto the track. Their lyrics empower the bruised and frustrated teenager that seems to hide in all of us. In the next breath, their words get us hype to pull a Lisa ‘Left-Eye’ Lopes and accidentally burn down the house just to make a point to our no-good partners. I cannot remember if it was on Spotify or YouTube but a few weeks back, I stumbled across Adonis Bosso’s single, “Jungle.” My initial reaction was of confusion because Adonis Bosso isn’t a singer. 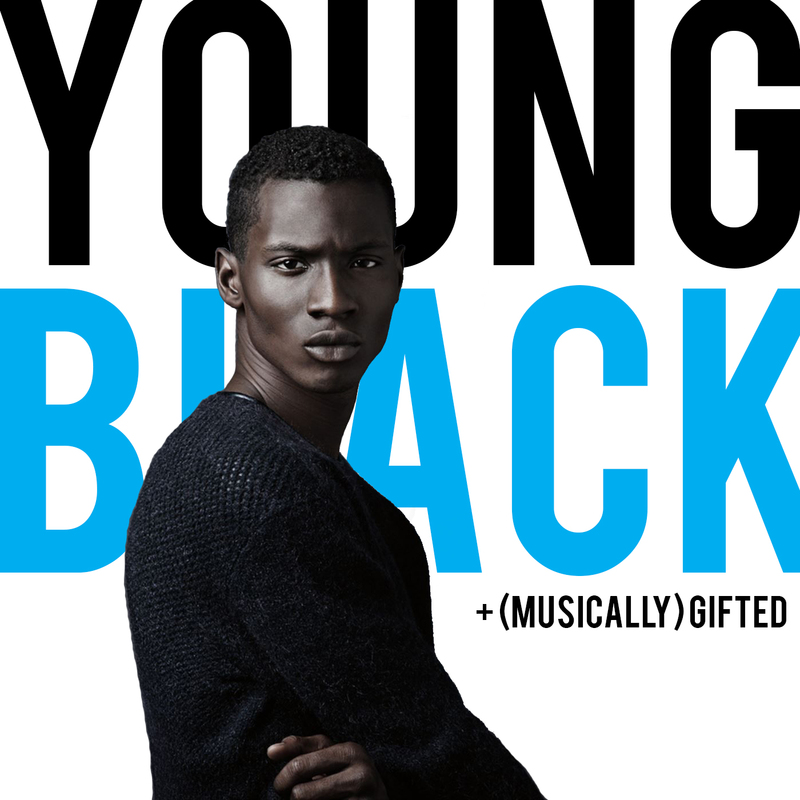 Adonis Bosso is one of fashion’s most prominent male models. He appears in editorials with Rihanna, does campaigns for H&M, and walks the runway for designers like Robert Geller. Alas, I was wrong. Adonis has walked from the runway to the recording booth. Because so many male models don’t talk, I had no idea what his voice would sound like. Good news: it is smooth with a higher octave. The first few notes he sang sent a shiver down my spine. When “Jungle” ended, I played it again. And again. And again. I then went on a journey to find more music of his but came up short. However, I ended up going down an amazing rabbit hole of other songs written, produced, and performed by other Black voices. It was incredible. It still is incredible. These voices are true, exciting, and ready to make you feel. I needed a place for them to live together which is why I made a fresh playlist, aptly titled Young, Black, + (Musically) Gifted. Enjoy, subscribe, and share it.